iGlide (Refurbished) - Glidecam Industries, Inc.
With the Glidecam iGlide hand-held Stabilizer your camcorder seems to float, always balanced, isolated from your hands undesirable motions. Now you are free to move with your camera – panning, tilting, booming or running without any camera instability or shake. The Glidecam iGlide works so well that it allows you to shoot incredibly smooth and graceful shots even while going to extremes like running up and down stairs or traveling over rugged terrain. And when it comes to normal shooting, like walking or moving the camera slowly around someone, the results are equally magical. Each iGlide Stabilizer offset, foam cushioned, Handle Grip is attached to a free floating, three axis Gimbal. This allows your hand to move up and down, and side-to-side, thereby isolating your hand’s unwanted motions from the camera. This up and down movement alleviates the bouncing, pogo-type action often associated with our competitor’s system because their handle cannot move up and down. This design feature, coupled with the overall higher inertia of the iGlide systems, produces superior stabilization when compared with our competition. The Glidecam iGlide shown in different color variations. 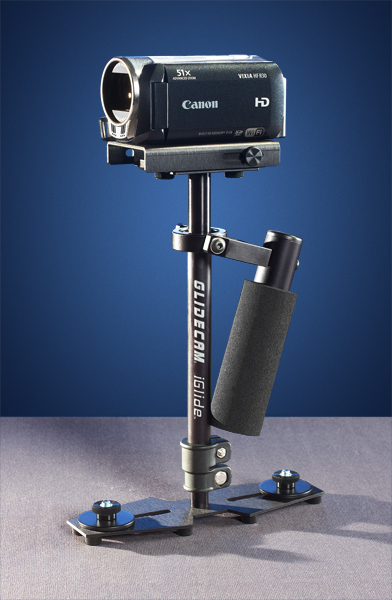 The Glidecam iGlide in black. 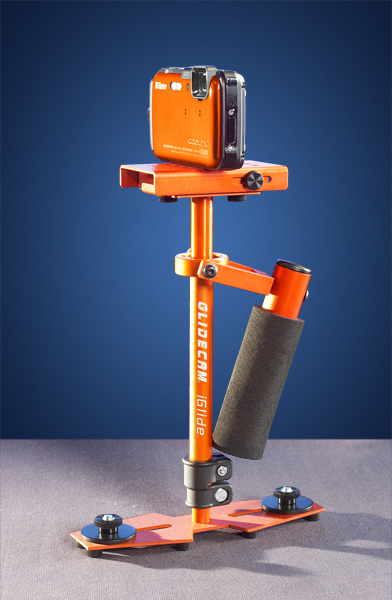 The Glidecam iGlide in orange. 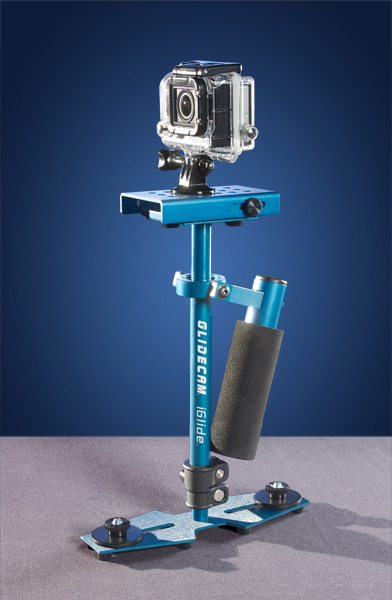 The Glidecam iGlide in blue. 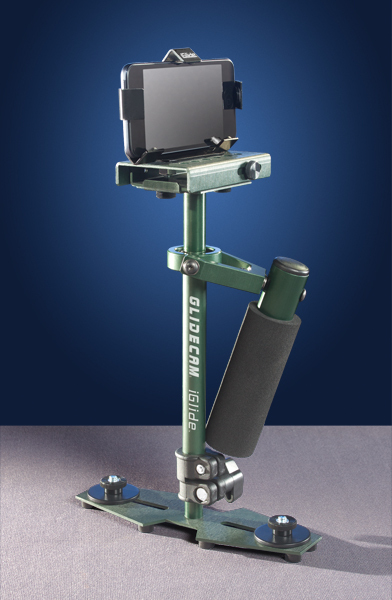 The Glidecam iGlide in green.